Those of you following my academic progress (such as it is) will know that I’ve been turning my attention to Upper Canada, where Judge Willis presided on the Kings Bench in 1827-28. 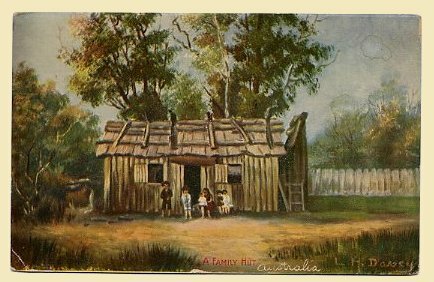 It’s with an element of trepidation that I post anything about Upper Canada here at all on a blog ostensibly oriented towards Port Phillip in Australia, aware as I am of my lack of knowledge in the field. Be that as it may, I find myself reading through bi-focal glasses now: alert to resonances in one colony that I’ve detected in the other, and conscious of parallel movements across the empire. Although this article falls beyond my 1827/8 pre-Rebellion interest in Upper Canada, I was drawn to read it because I was conscious of the emigration schemes operating within Port Phillip during the 1840s and was interested to compare them. The ultimately-unsuccessful Canadian Emigration Society was established in 1840 with a 2-pronged approach. Prominent landowners in Britain (and particularly Scottish landlords) would be encouraged to promote and support emigration to Upper Canada while, at the other end, Upper Canadian landholders would offer free grants of 50 acres to incoming settlers. There was a general feeling in Upper Canada that immigration per se was good for the colony, and the steep drop in incoming migrants after the 1837 Rebellion was viewed with alarm. But, just as importantly, a number of well-connected Upper Canadians had amassed large landholdings as a speculative venture and their own land would increase in value if settlers could be attracted to the area. 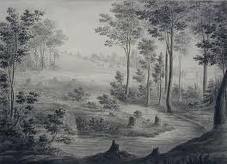 In an article in Historical Essays on Upper Canada: New Perspectives called ‘Forest into Farmland: Upper Canadian Clearing Rates 1822-1839′ Peter A. Russell notes that the rate of clearing forest was seen as a crucial index of a man’s economic success and social advancement. He noted that at first settlers needed to clear to provide immediate shelter for themselves and their families, while often working for wages on a more advanced settler’s tract. After a couple of years, the land had to be cleared again because of secondary regrowth. Darrell A. Norris’ chapter in the same volume ‘Migration, Pioneer Settlement and the Life Course: The First Families of an Ontario Township’ noted that often families lived temporarily in more settled towns before shifting to the bush once they had sufficient working-age children to make a go of it. I find myself comparing this with Port Phillip emigration at much the same time. There were bounty migrant schemes, but the emphasis there was on attracting labourers, both agricultural and industrial, and domestic servants. There was a general reluctance for newcomers to shift into the country where there was much more of an emphasis on pastoral activity than farming, and it was mainly ex-convicts and single men who took on the role of sheep-hand, for which labour was most scarce. In the end, the Canadian Emigration Association was eclipsed by other developments. The main proponent, Dr Thomas Rolph, became attracted by other (likewise unsuccessful) large-scale land development schemes whereby huge tracts of land would be purchased in England and sold to settlers, and by the early 1840s emigration had picked up of its own accord. 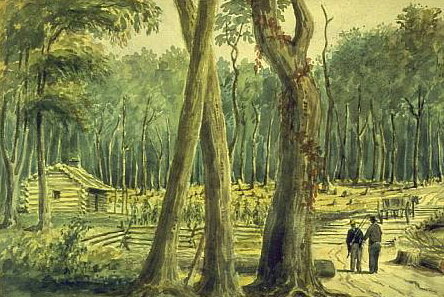 In Port Phillip, the bounty scheme almost bankrupted the government in a time of depression and by the early 1850s the gold rush made such schemes redundant. 1987, 192 p & notes. This book, developed from the author’s Ph D thesis of a similar title, won the Corey Prize for 1988. So far I can still count the number of books I have read on Upper Canada on my fingers, but even I was aware while reading it that I was tiptoeing across what we would characterize in Australia as a “history war”. Has Canada had its own history wars? I suspect, from this article, that it has. No doubt I shall soon become more familiar with all this. In her introduction Errington identifies the characterization of Canadian history that she is arguing against- i.e. that hardy British-American settlers fled the destructive influence of American democracy and republicanism and established a new, counter-revolutionary British society in Northern America that “rejected all things American while embracing 18th century British conservative values and traditions” (p. 4). Instead, she argues, there were ongoing personal and intellectual links between settlers who had crossed to Canada, and the families and friends they left behind in America. The major communications links with England passed through America; people crossed the border both ways, and there was a strong interest in federalist politics particularly as it played out in the nearby American state of New York. She argues that rather than a horizontal line drawn between Canada and America, there was a cross-border sympathy between the Canadian reformers and their ideological brethren, the American federalists. The settlers who crossed into Canada were not British themselves: they had been born in America and the vast majority of them never set foot in England. 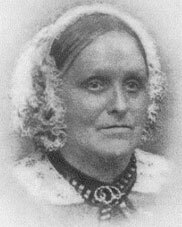 She argues that Upper Canadian society was shaped by the dual influences of Great Britain and America, and that the political controversies of the 1820s and 1830s had at their heart differing perceptions of the British constitution and parliamentary traditions- whether the principles, or the image, of the British constitution should apply there. There are resonances here with the same issue for Australian judges and governors at the same time: the relevance of what we would now sneer as “one size fits all” law and policy. She draws heavily on newspaper articles and the personal correspondence of a number of key individuals, particularly Richard Cartwright, John Strachan and Stephen Miles whose perspectives appear throughout the book. Perhaps it is because this area is new to me, but I found myself wishing that she had fleshed out these characters a little more, given that they were to be the chorus of voices heard throughout- perhaps in the way that Inga Clendinnen did in Dancing with Strangers, so that each time you encountered them again, it was like meeting an old friend. I gather from some of the reviews I have read of this book, that it was felt that, by concentrating on the views of the elite, she overlooked other arguments in making her own. That didn’t worry me at all- it is the views of the elite that I need for my own purposes. She does address the issue of her close focus in the introduction, but perhaps it was a methodological choice that she needed to prosecute more insistently. I’ve already spoken of my interest in the way she integrated quotations into her analysis, and I certainly felt as if I was reading a viewpoint, formed and promulgated over time by living, inconsistent, evolving people rather than a political stance delivered ready-made. I like the way that she emphasizes the evolving and contingent nature of political ideas, the effect of generational change on political protest, and the way that British and trans-colonial ideas, events and politics played out at a local level. My research has moved onto another stage: Judge Willis’ Adventures in Upper Canada. My Australian readers will no doubt agree with me that Canadian history does not figure highly in the Australian history curriculum and that I probably shouldn’t feel as embarrassed as I do by my ignorance about all things Canadian. This book was suggested to me on a Canadian history blog as a good, if somewhat dated, starting point in researching Upper Canada. Where’s Upper Canada? you may ask. (I certainly did). As one of my first surprises, it’s not particularly “Upper” at all- it’s the area of Southern Ontario, north of Lake Erie and Lake Ontario. To my antipodean eye “Lower Canada” was actually closer to the north pole (and hence, upper) than “Upper Canada” was. 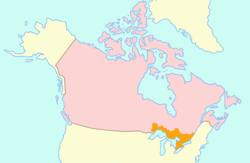 It only officially existed until 1841, when Upper and Lower Canada were merged. This, for me, was Revelation No 1- the river/lake eye view. In his book, The Tyranny of Distance, Geoffrey Blainey emphasizes the importance of the lack of long inland waterways in Australia. When you look at a map of Australia, there are none of those meandering rivers that weave , branching and converging across a continent. Instead, apart from the Murray-Darling system, there are stubby little twigs that start and break off, seemingly without reason. No wonder explorers dragged their canoes with them into the Australian desert: their experience in other continents would have reassured them that there would be a river system somewhere, waiting to be discovered. It also explains why early British settlement in Australia hugged the coast so tightly, and why they were keen to annex strategic harbours rather than the continent as a whole. 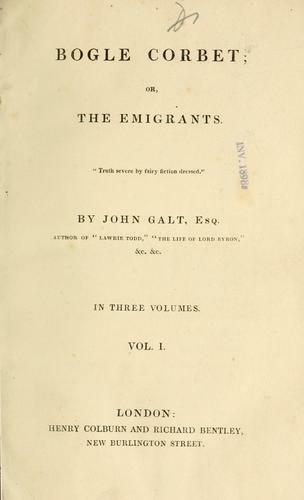 (p. 122-3). With a Canadian river-eye view, “Upper” refers to the reaches of the river, not the lines on a map, and “development” involves canals and river engineering works. Revelation No 2 was the importance of borders, and here I remembered echoes of John Hirst’s first year Australian History subject where he emphasized the importance of Australia not having to share a border with any other colonial power. I hadn’t considered before the significance in the time of the Napoleonic Wars of having French-Canadian neighbours, or the implications of “loyalists” coming across the border after the War of Independence, and the uneasiness that would evoke. The book was a salutary reminder. Revelation No 3 was the familiarity of policies across the empire. I was prepared for this, but it was still an “aha!” moment for me to see migration, land and church policies that I had thought of as “Australian” being applied in another context. Our “national” history is not as unique as we might want to think it is- much of it was part of what we would now deride as “one size fits all” empire-wide approach. Policies that seem puzzling, like the insistence on restricting settlement around the Sydney area, make more sense in the face of Upper Canada’s experience when settlement was allowed to become too dispersed, a phenomenon exacerbated by the policy of reserving large tracts of land for clergy and Crown needs at a later date. Of course “one size” didn’t fit all, and policies were subverted and ignored, but it’s interesting to observe the empire’s “corporate learning”, even if it only existed on paper. Revelation No 4 was not strictly a revelation either: more a confirmation of the mobility of colonial careers. For here we see George Arthur popping up as Lieutenant Governor of Upper Canada, having completed an earlier stint in Van Diemen’s Land- and there’s Charles Buller– I thought he was supposed to be “our” man in Whitehall! The book was clearly written, with a strong chronological structure. I found myself raising a sceptical eyebrow at the comment that unlike the United States, Upper Canada was never an “angry” Indian frontier- is that true? The emphasis on the book was on politics and economics rather than social history, and I don’t think that there was a single woman in the whole book. That’s fine: I’ve just started reading and plenty of time to rectify that. There’s an almost laconic view of causality running through the narrative of this book: rebellions and ructions, when they occurred, are portrayed as almost unnecessary, as structures would have collapsed under their own weight and events would have unspooled anyway. The book, published in 1963, was the first cab off the rank in the Canadian Centenary Series. It concentrates on a defined geographical area within a clearly designated timespan. The book ends optimistically, looking to the future and further progress. The concept and premise of “Upper Canada” seems to be a phase in Canada’s history, and I sense that it has been left behind without regret or nostalgia in the march towards other things.